Product Consist: Floral Design Ganesha Thali, 2 Bars of Cadbury Dairy Milk Chocolate (Weight: 12.5 gms) along with Single Rudraksha Beads Rakhi. 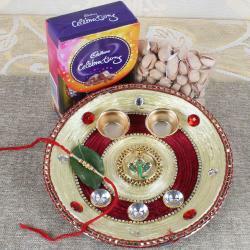 For this Raksha Bandhan, you can present your loved one with a Designer Thali with Cadbury Dairy Milk Chocolate and Rudraksha Rakhi. Without this gifting combo, the eve of Rakhi is never completed. 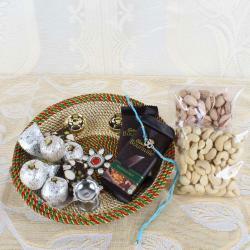 The Designer Thali is decorated with white color beads that enhances the beauty of the thali. 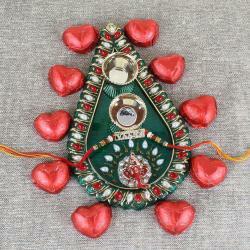 The designer thali will surely attract your brother’s attention on this occasion. 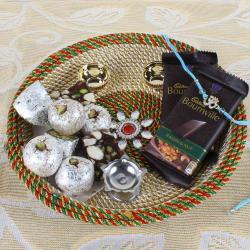 The combo also comes with a Rudraksha Rakhi which will be a huge surprise for your brother. Rudraksha is the symbol of Lord Shiva. 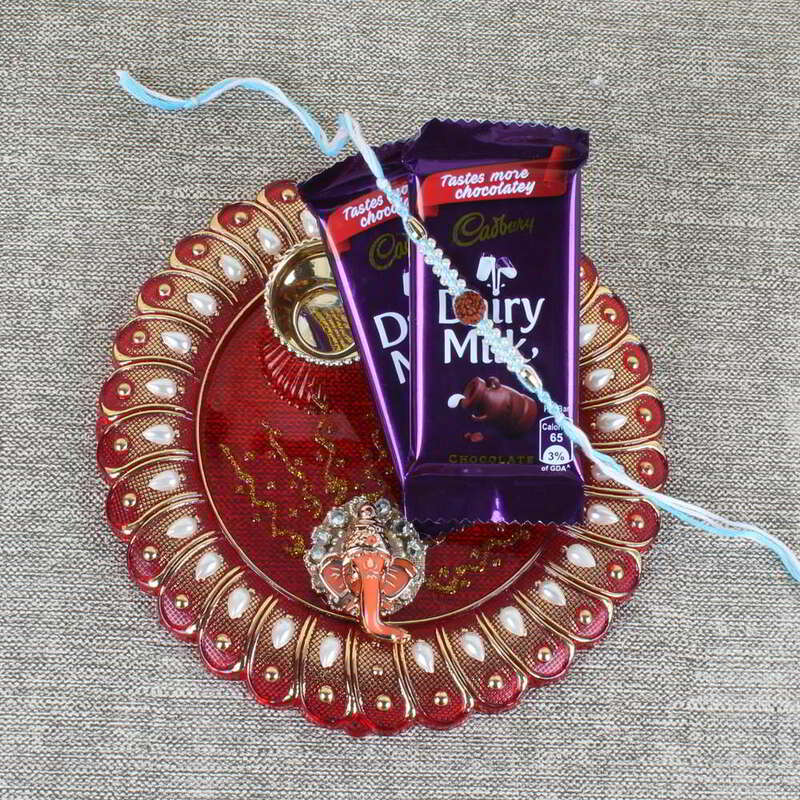 The Thali also contains dairy milk chocolates and if your brother is a chocolate lover then this will be perfect because it has two bars of them. Product Consist: Floral Design Ganesha Thali, 2 Bars of Cadbury Dairy Milk Chocolate (Weight: 12.5 gms) along with Single Rudraksha Beads Rakhi.